Suzy Taroyan - NICKENS & NAZARYAN, INC.
Suzy Taroyan practices primarily in the areas of Wills and Trusts, Trust Administration, Probate, and Personal Injury. While in law school, Ms. Taroyan was an Article Editor of the UC Davis Law Review and a Staff Editor for the Business Law Journal. 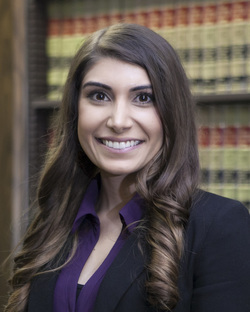 She is the recipient of Frances Newell Carr Scholarship, Witkin Award, and received a Pro Bono Certificate for volunteer legal work at Sacramento County Superior Court as well as Sacramento Public Health Department. University of California, Davis, J.D.